The form of solar road is varied and the installation position is not the same. Whatever kind of the solar road stud, the compressive performance should be a basic requirement for the solar road stud. If the solar road stud can't withstand the pressure, it would fracture after the rolling or impact of cars and cannot work normally. Therefore, the compressive performance should be the most basic condition for the normal work of solar road stud. 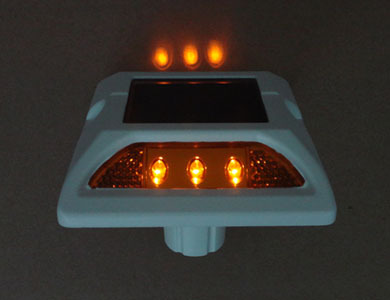 Solar road stud itself is an electronic product, it is difficult to make the electronic parts have higher compression performance. In general, the compressive performance of solar road stud is poorer than the conventional road stud. At present, the compressive index of solar road stud must be up to 10 tons according to the requirements of related technical standards of the Ministry of Transport. The following are several kinds of effective method to improve the compressive performance of solar road stud: the first one is to use the PC bulletproof material on the exposed solar panel to improve the compressive performance of the electronic component part; the second one is to use the IC control in order to reduce the volume of electronic circuit and the stress on the electronic components; the third one is to use the reinforcing rib on the shell to share the pressure of the electronic part. Nokin is professional and comprehensive road stud suppliers, and we have our own factory, so we can offer factory-direct price, strict QC before products shipping out. 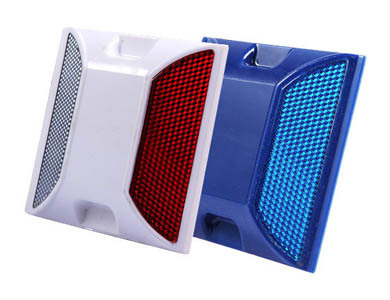 Our products include solar road studs, reflective road studs, solar road markers, etc. If you have any problem with your order, please contact us and we will do our best to make you satisfied. As long as you are happy with your purchase, please leave a positive feedback for us.